Another Monday!! Yes!! Its Monday again.... *smiles* Time for you to link in with your weekly posts ... Can't wait to see what you have in store this week... Here.. is what I did over the weekend... ~ My brother at work... painting my bedroom teal. Was thinking of painting something peacock-ish.. in the room.. Have not decided as yet... So this remains work in progress ... Room 2 - my mom - dad's room was painted a lovely green... This is work in progress for the week after... As I have no clue what else is going on this wall.. or how else I'm going to revamp it.. Do you have any ideas?? I'm no good at stitching anything... So today, I'm featuring two extremely enthusiast blogs, who create magic!! The cushion tutorial linked in last week from Adithis Amma Sews and the below gorgeous dress posted by Kavin... Have a look and leave them a note.. Its always a motivating to see a positive comment!! Wow, the teal looks beautiful... Love the way you keep playing around with colors on the wall... Something we haven't tried yet for our home !!! :) And incidentally we have something work in progress to share too :) Hope u have a great week ahead ! Can't wait to see the final ones(wall)! Patricia if you were in Bangalore I would invite you over! And yes your daughter is welcome to come over and craft with us craft crazy mum- daughter duo! Peocock motif, would love see that, i love Peocock motifs! Thanks for featuring the Dice Cushion, i am honored! Thanks a lot, that was a pleasant surprise! 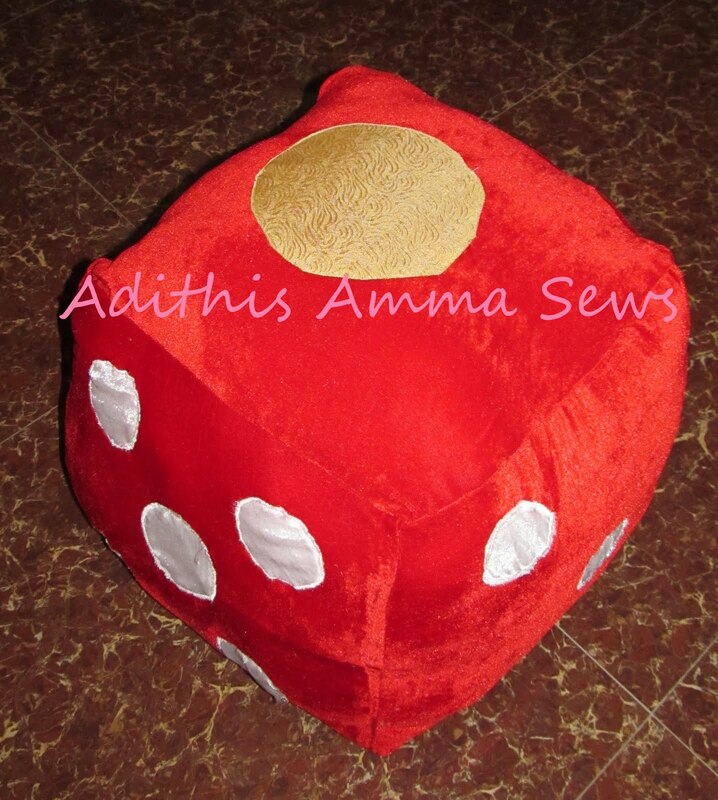 Hope to see a Dice Cushion in your lovely home soon! Yes! Comments do make my day and can't have enough of them! 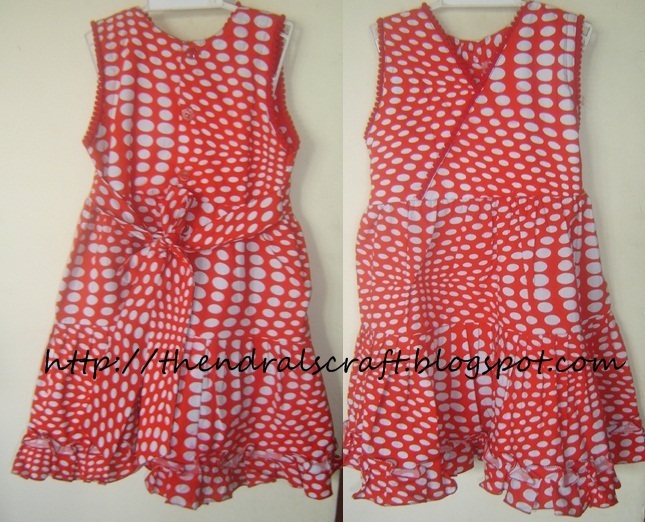 I also am glad to be featured alongside Kavin as hers is one blog i visit regularly and she is very talented craftster! You should see the Tree Fancy Dress costume she made to see her drawing skills! Please vote for me @ Style Pile's Indian Accents Contest entry! Wow...Patty! I LOVE both the colors...great choice. Looking forward to the final outcome.